The tools we use every day are being leveraged for everything from delivering uncannily relevant ads to providing key evidence in murder trials, and it’s more important than ever for consumers to know what they are signing up for when they accept these policies. And yet, very few people do. So how did we get here? What happens next? And what responsibility do companies have to change the equation? We use an interactive format that’s designed to be understandable by anyone from a Fortune 500 company executive to a teacher to a respondent taking a market research survey. The page has a sidebar navigation so readers can skip to the section of interest and a drop-down menu with archived versions of our policies from previous years. Key updates are highlighted so readers can instantly parse the new changes, and practical examples of use are given so the readers have a better understanding. We use colloquial language wherever possible. We do our best to speak plain English and keep our policy direct, transparent and user-friendly. Privacy policies are a chance for companies to show that they have their customers’ interests at heart. They should do their best to be as transparent and consistent as possible. State information clearly, and make it easy for your users to change the settings so that they are conscious of and comfortable with the information that they are sharing. Our research has shown that the foundation of any relationship is trust. Only 9% of people said that they trust a brand when they first engage, but 67% feel trust by the time they return to buy again. 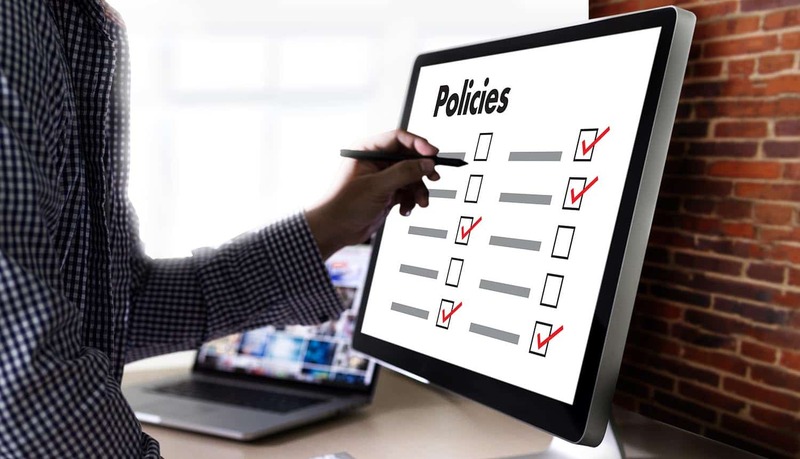 Easily accessible, referenceable policy content that clearly outlines privacy practices can help companies earn faith from their customers—and deserve it. In February of 2018, we surveyed over 5,000 people across the U.S. and Europe. Fifty-six percent of the people who responded thought that companies don’t do enough to inform them about their choices regarding their personal data. That’s major opportunity for improvement. In spite of the fact that younger generations are often called “digital natives,” they don’t guard their online privacy with as much focus as older generations. They’re likely to put more and more of their lives online and won’t pay as much attention to the policies that dictate what happens to that information. In their reality, people simply don’t read the terms and conditions—ever. As a general counsel, it’s my job to protect my company, and my responsibility to make sure our customers can understand how we are using their data to make our products better. If we’re going to build a world where privacy literacy is expected, the onus is on companies to make reading and understanding our policies more realistic.